These make great neighbor gifts. They are easy to make and take no time at all. Christmas and peppermint seem to go together and when you combine peppermint with white chocolate and Oreos you have a winning combination. If you give them to the neighbors they are going to love them, I promise. I put some of the cookies in a vintage mason jar and because the lid was old and rusty I wrapped it with some Christmas washi tape. 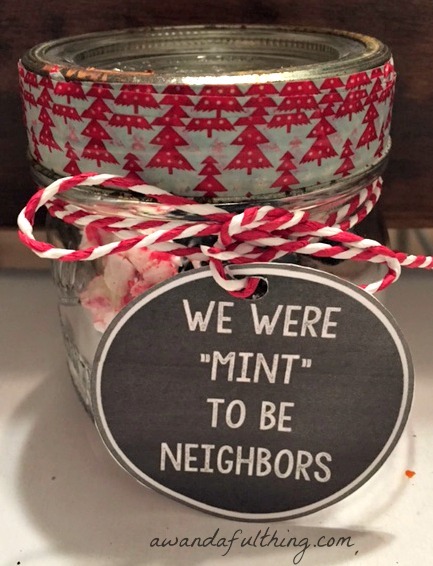 I printed out a tag that said We Were “Mint” to be Together and tied it on the jar with some bakers twine. 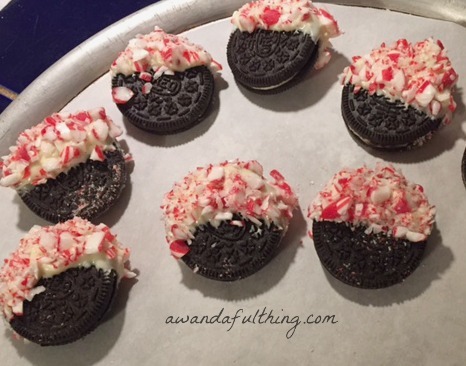 Day 7 – Peppermint Bark Oreo Cookies -It’s A Wandaful Thing! 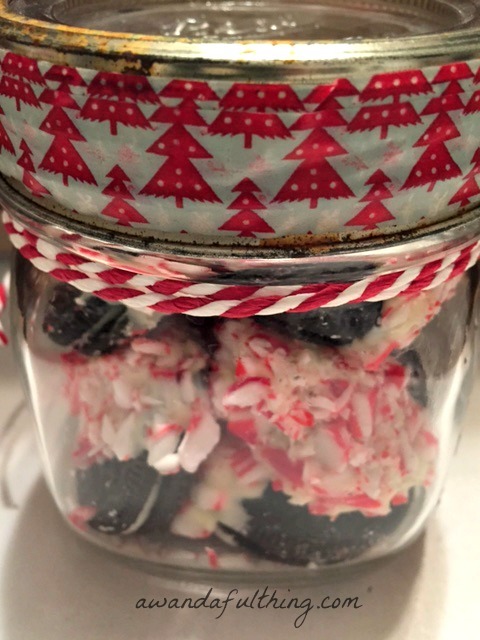 This entry was posted in DIY, Food, Make and tagged bake, Christmas, cookies, crushed, DIY, easy, Food, make, mason jar, oreos, peppermint, twine, washi tape, white chocolate. Bookmark the permalink.